For many of us these are the days of making resolutions for the coming year. As different as the resolutions of different people may be, there would always be something common between them – we all hope that following these resolutions will make our life better. And when something needs to be changed for the better – AnyaWorkSmart will always have something to say :-). 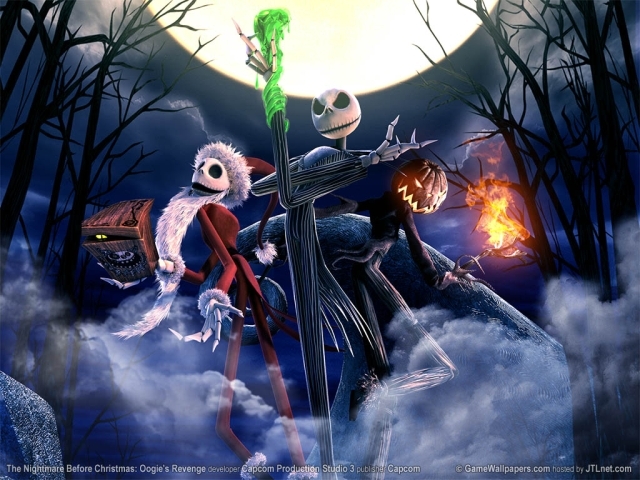 I really hope that you didn’t miss this one back when you were younger, but if by any chance you did, here is the short synopsis: Jack Skellington, king of Halloween Town, discovers Christmas Town, and though he doesn’t quite understand the concept, he decides that from now on his domain will prepare for Christmas instead of Halloween. Because despite their possible best intentions and the temptation of copying from others, people should stick to what they’re good at. And it’s Halloween and not Christmas in this case. So when we come to make our New Year resolutions, let’s remember this one simple thing: when our goal is to produce a meaningful result – we should always stick to what we’re good at. Let our wishes be OUR OWN wishes, because when we say that we want something only because other people want it – it will never make us happy. And, in the end what we really want is to be happy, don’t we? So let’s be happy this year, and AnyaWorkSmart will stay here to make sure that we are! The first year of AnyaWorkSmart – Thank you all for being here! This entry was posted in Competence Training, Life without biases, Personal Skills and tagged Decision making, Life without biases, Personal Skills by AnyaWorkSmart. Bookmark the permalink. Let’s stick to what we’re good at. Let get better at what we’re good at. .. let’s find out what are we good at.